I’ve been in Vegas for the past few days and honestly haven’t felt up to writing by the end of each day. But before I talk about Vegas, I want to go back to three days ago because I’m pretty excited about some improvements I made to the van. When I camped out that night, I decided to head over to the automotive isle in Walmart. 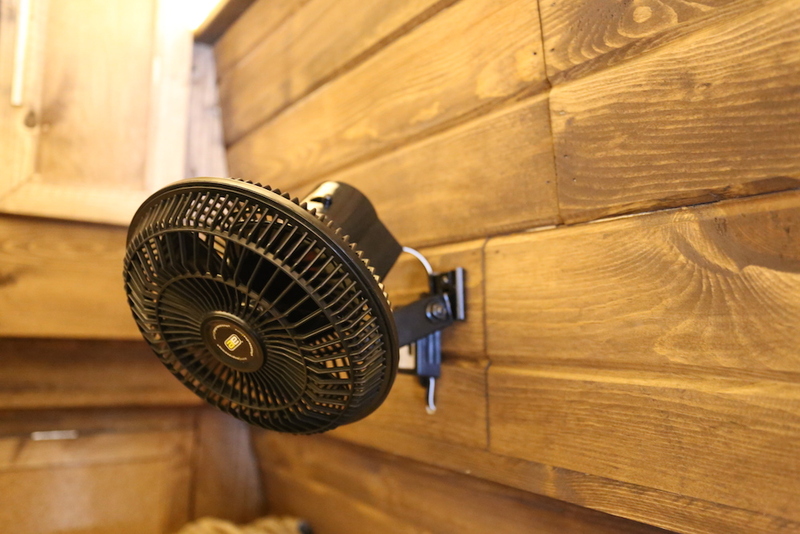 Although I didn’t get what I went there for, I came across a clip-on oscillating fan that was designed to be plugged into a car’s DC outlet. 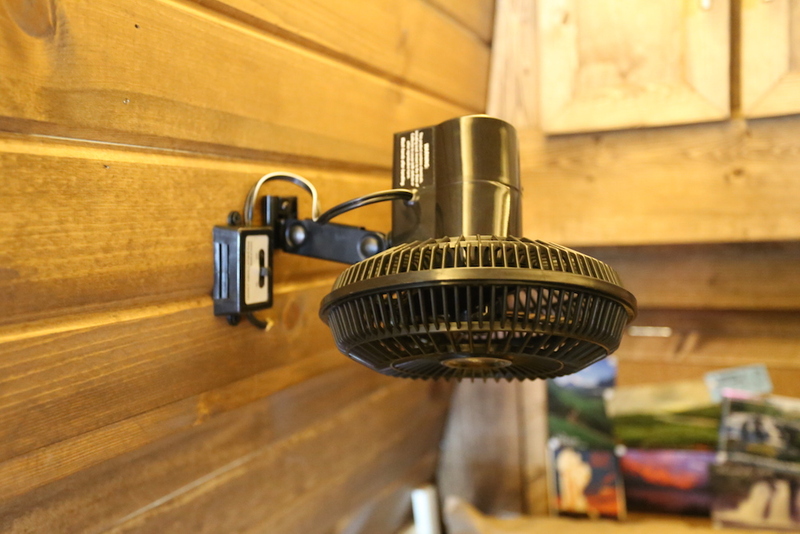 One of the neat things about the fan was that it also came with a mount so that you could remove the clip-on part and permanently attach it to something. I bought one of the fans and thought I’d try it out and see how well it worked. I have five recessed LED lights in the van that I thought would come in handy, but I haven’t used them at all since I started my trip. Since I wasn’t using the lights, I decided to reroute one of the electrical circuits to power the fan I’d just bought and mounted it on the rear wall above the bed. Once I had everything wired up, I tested it out and instantly loved it. So much so, that I went back in and bought a second fan to mount on the opposite wall. I’ve actually been looking for something like those fans and was very pleased to come across them. They’re a little louder than I would hope for such a small fan to be, but I’m ok with it since they blow air considerably better than the fan I’ve been using for the past month. I also love that they oscillate and I can position them to face any direction. It’s still hot in the van, but having these fans makes it a whole lot better. Anywho, I did not plan to come to Vegas at this point in my journey, it just happened. It started the same day I bought the fans when I saw a friend post an update saying they were in Vegas. Since I was only 120 miles from Vegas, I figured it’d be nice to stop by on my way to wherever I’m going next (I still don’t know). I headed out pretty early the next morning and arrived in Vegas a couple hours later. 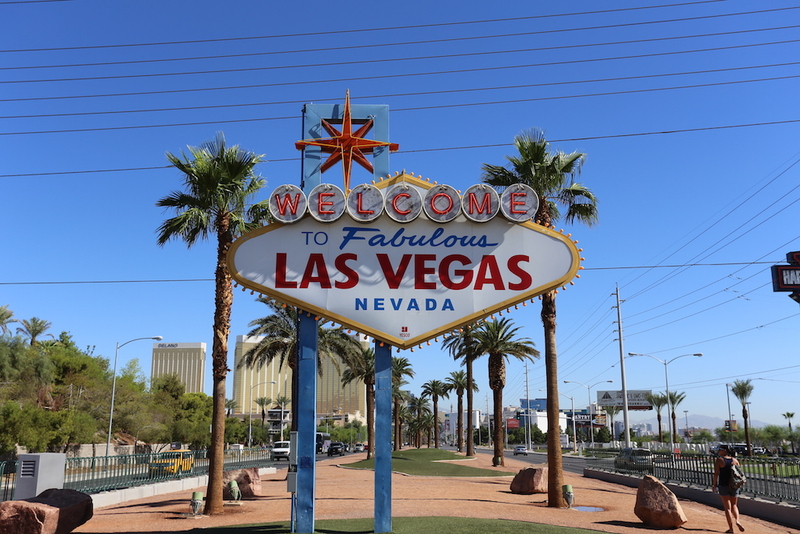 With plenty of time in the day, I drove down to the iconic Las Vegas welcome sign to be a tourist and get a picture of it. Even though I’ve been to Vegas a couple of times before, I have never taken the time to go out and see the sign. There’s nothing that fancy about it, but it’s a piece of history; like the Hollywood sign or Route 66. I spent the first day playing penny slots just to get “free” drinks and then walked around for a bit before meeting up with my friend and her husband later in the evening. We chatted for awhile about my journey and reminisced about the idiocies of our old work office. And, boy, do I love to talk about how much I don’t like that place. They had tickets to one of the Vegas shows and since I’m way too cheap to pay for stuff like that, I called it an evening when they headed out. I camped at a Walmart that evening, only to realize the next morning that there were signs saying “no overnight parking”. Whoops, my bad. Luckily, I didn’t get towed or anything. The next morning I played roulette for awhile and was up $125 making small, $5 bets. Somewhere along the line I got a little too confident in my winning streak and well, lets just say by the time I left the table, I was no longer up $125. I was no longer up at all. I’m now convinced that roulette is the devil… that, or it’s all rigged. Since it’s Vegas, it wouldn’t surprise me. I met up with my friend and her husband and some other coworkers of theirs that afternoon. I spent a good chunk of time educating them all on Wisconsin’s greatness and all the amazing things or people that have come from there. Seriously. I can talk for hours about Wisconsin. We also played some more penny slots to get “free” drinks. They, again, were seeing a show that evening and I ended my night at that point. Today, I didn’t do much at all. I spent the majority of the day reading an amazing book called The Ocean at the End of the Lane by Neil Gaiman which made me revel in childhood spirit. It was a fairly short book and I ended up reading the entire thing today. In the afternoon, I met up briefly with my friend and our other friend who just flew in this morning (there’s a huge nerd conference going on in Vegas right now). Later in the evening, I drove a little ways outside the city to escape from all the hustle and bustle. I’m not a big fan of large cities, crowded streets, and busy highways. I much prefer the simpler life. I’m happy that I’m finally getting some reading done, as that was one of my goals for this trip; to read more. I even read about a quarter of a second book today. I’ve also been using Duolingo to practice my Spanish, as I really want to learn at least one language besides English (but ideally more than one). I’m no where near fluent, and might not ever be, but I can at least easily understand simple sentences at this point. Now I just need to force myself to practice the guitar more. And by “more,” I mean I’ve only practiced once in the week I’ve had it. No bueno.